The June bug is a genus of beetles in the subfamily Melolonthinae of the family Scarabaeidae. The June bug got its name because this beetle typically emerges in large numbers in the month of June. June bugs eat plants, leaves, bushes and vegetation. 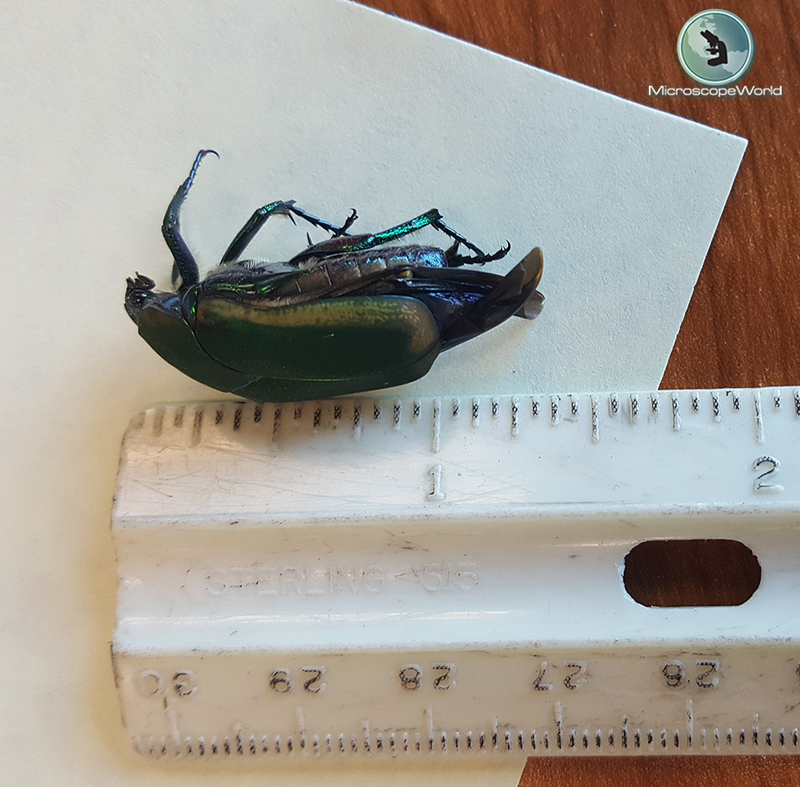 This June bug was found outside the office at Microscope World. 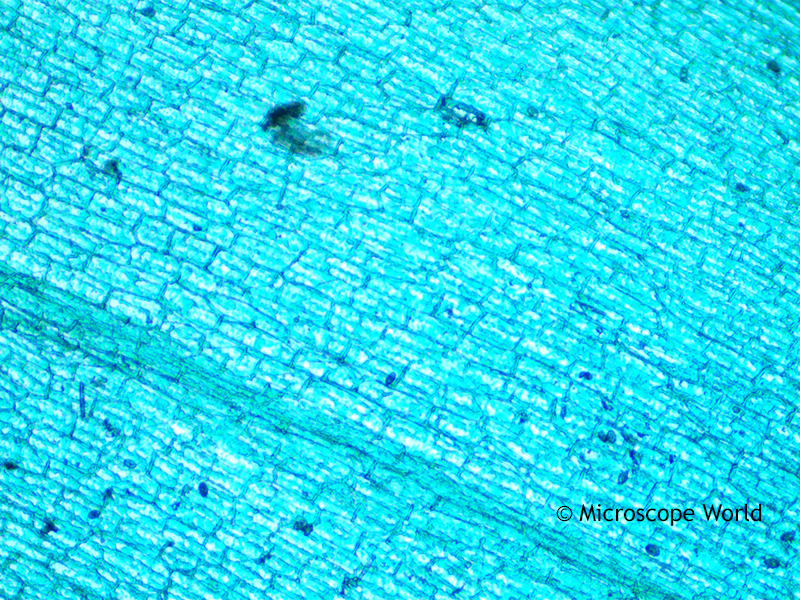 The insect was placed under the Richter Optica S6D-BL digital stereo zoom microscope. 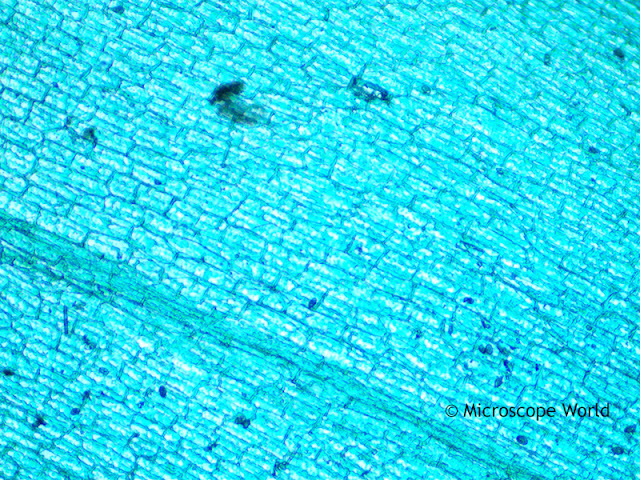 Images were captured using the 3mp microscope camera that is included with the digital stereo zoom microscope. The digital microscope includes software that provides extended depth of focus image capture. 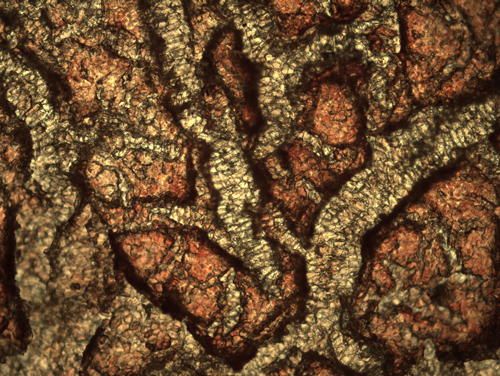 This simple feature involves capturing multiple images at a range of focal depths and then allowing the software to automatically and quickly compile these images into an extended depth of focus image. There are several options to choose from when performing extended depth of focus including weighted shift, contrast shift and shift, align and rotate. Each of these features are shown in the images below. Wings of the June Bug captured using extended depth of focus on the S6D-BL digital stereo microscope. 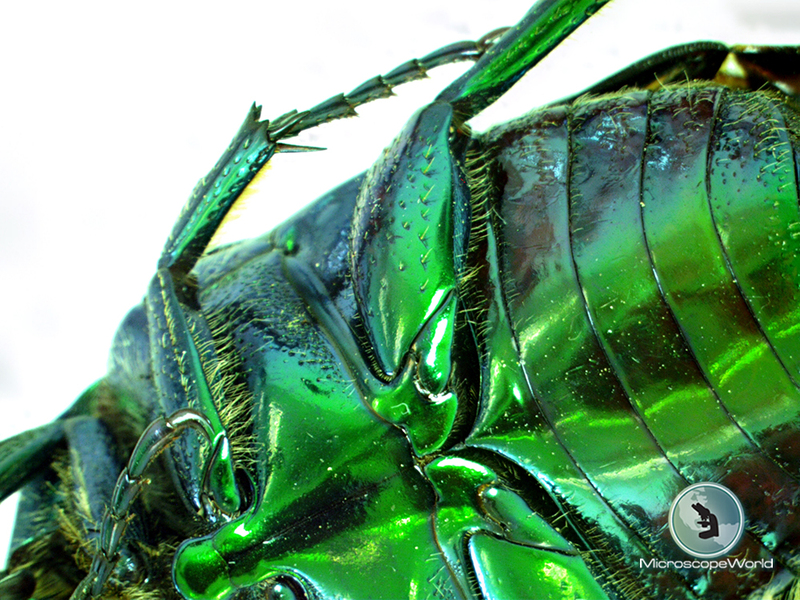 Body of the June Bug captured using extended depth of focus at 6.7x on the S6D-BL digital stereo microscope. 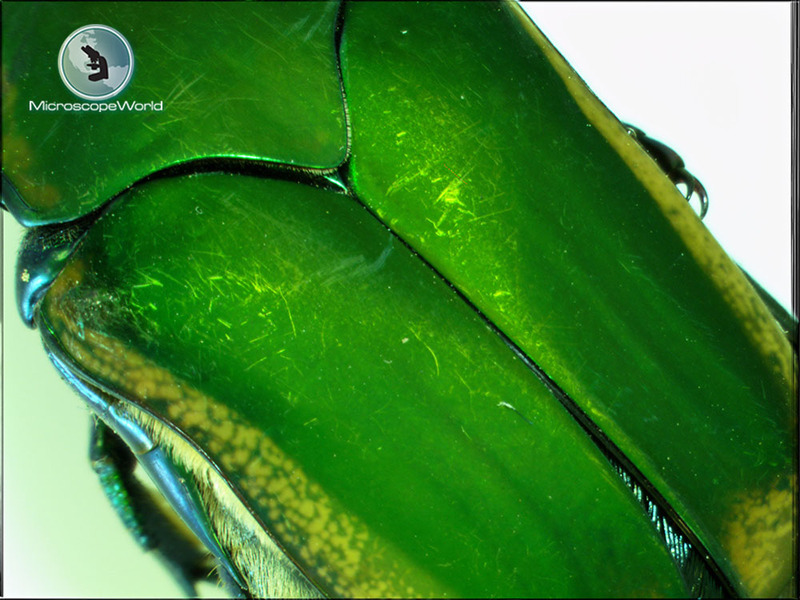 June Bug captured using Contrast-Shift feature in extended depth of focus on the S6D-BL digital stereo microscope. June Bug captured using Weighted-Shift feature in extended depth of focus on the S6D-BL digital stereo microscope. 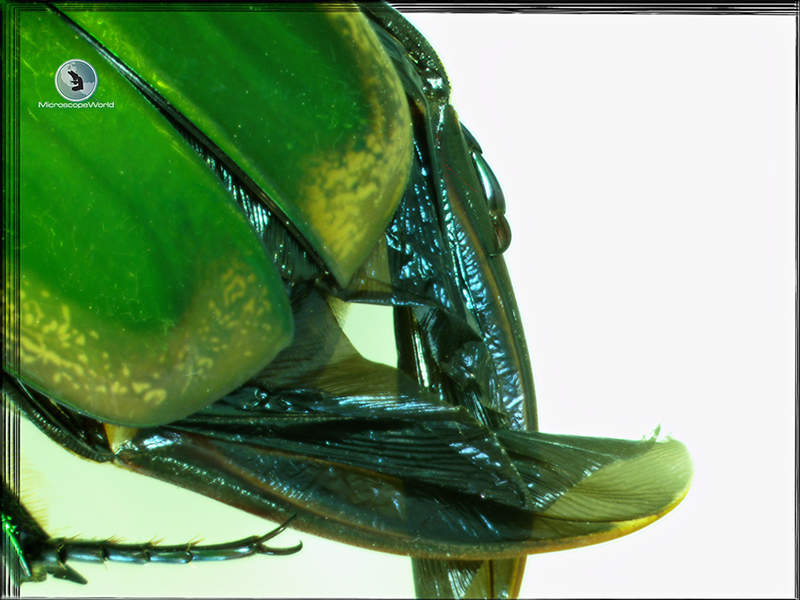 June Bug captured using Shift-Align-Rotate feature in extended depth of focus on the S6D-BL digital stereo microscope. For more information on extended depth of focus software contact Microscope World. 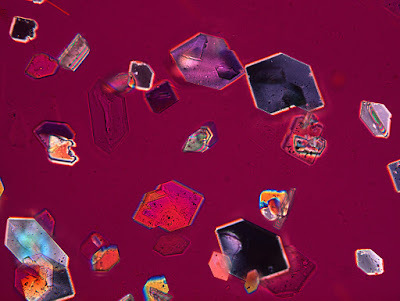 Dr. Robert Rock Belliveau, 84, is a retired pathologist in Las Vegas who spends hours squeezing fruit through a garlic press so he can photograph them under a polarizing microscope. 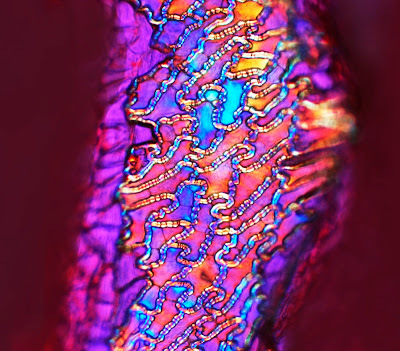 The polarized light from the microscope results in beautiful art. Dr Belliveau has collected around 11,000 photographs. 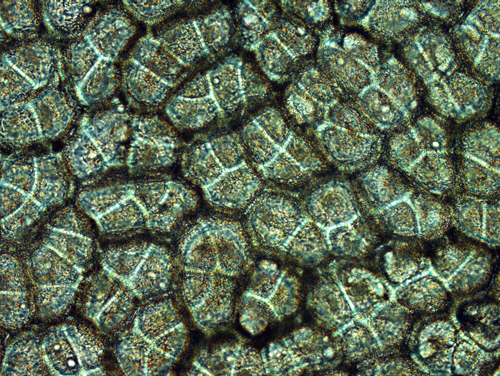 Dr. Belliveau's setup includes a polarizing microscope and a Lumenera Infinity X-32 microscopy camera. For more information on Dr. Robert Rock Belliveau click here. 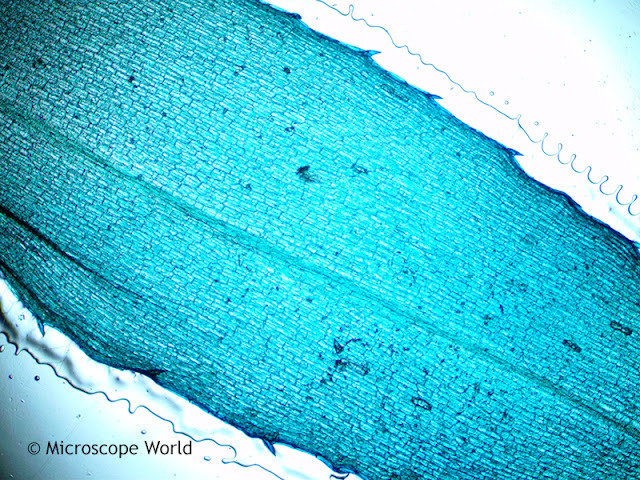 For more information on polarizing microscopes or Lumenera microscopy cameras contact Microscope World. Hydrilla (Esthwaite Waterweed, waterthyme or hydrilla) is a genus of aquatic plant that is usually treated as containing only one species: Hydrilla Verticillata. Although some botanists divide this category into several species. The plant is native to the cool and warm waters of the Old World in Asia, Europe, Africa and Australia, with a sparse, scattered distribution. In Europe it is reported from Ireland, Great Britain, Germany, and the Baltic States, and in Australia from the Northern Territory, Queensland and New South Wales. The plant is sometimes invasive and unwanted. For example, in Galveston Bay and parts of Florida this plant is considered an invasive species. 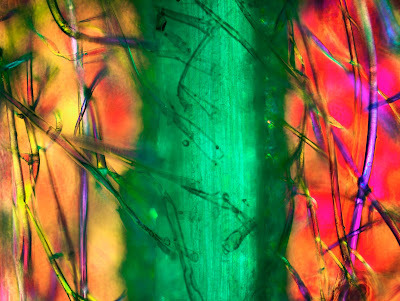 The stems grow up to 1-2m long. 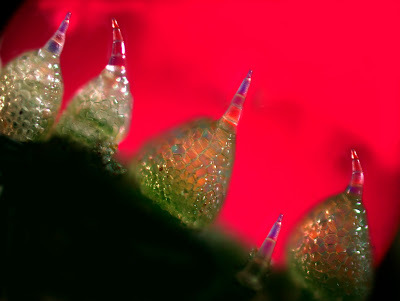 The leaves are arranged in whorls of two to eight around the stem, each leaf 5-20mm long and 0.7-2mm broad with serrations or small spines along the leaf margins. 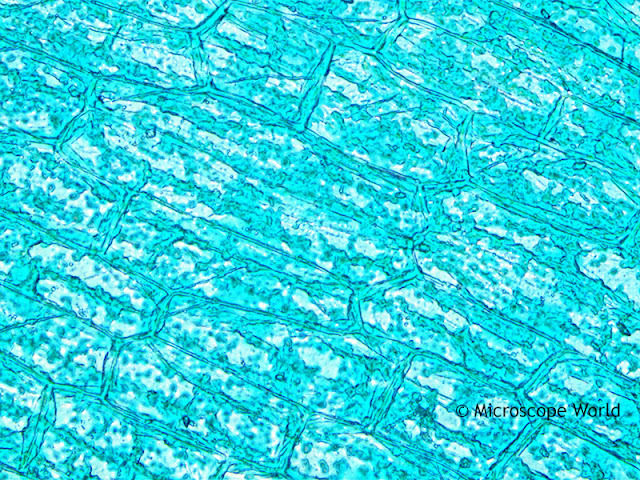 The leaf midrib is often reddish in color when fresh. The plant is monoecious (sometimes dioecious), with male and female flowers produced separately on a single plant. The flowers are small, with three sepas and three petals. 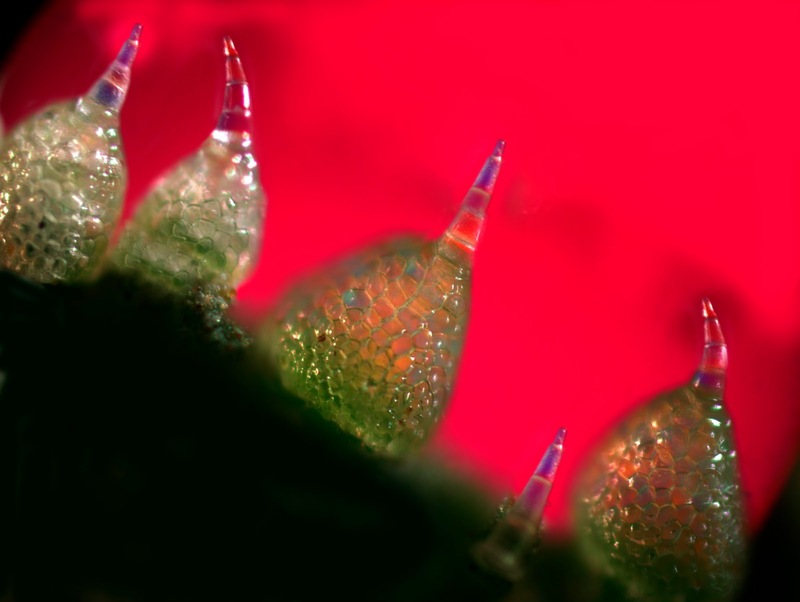 The petals are 3-5mm long with transparent and red streaks on them. Hydrilla verticillata reproduces primarily vegetative by fragmentation and by rhizomes and turions (overwintering) and the flowers are rarely seen. Air spaces keep the plant upright. Hydrilla has a high resistance to salinity compared to many other freshwater associated aquatic plants. 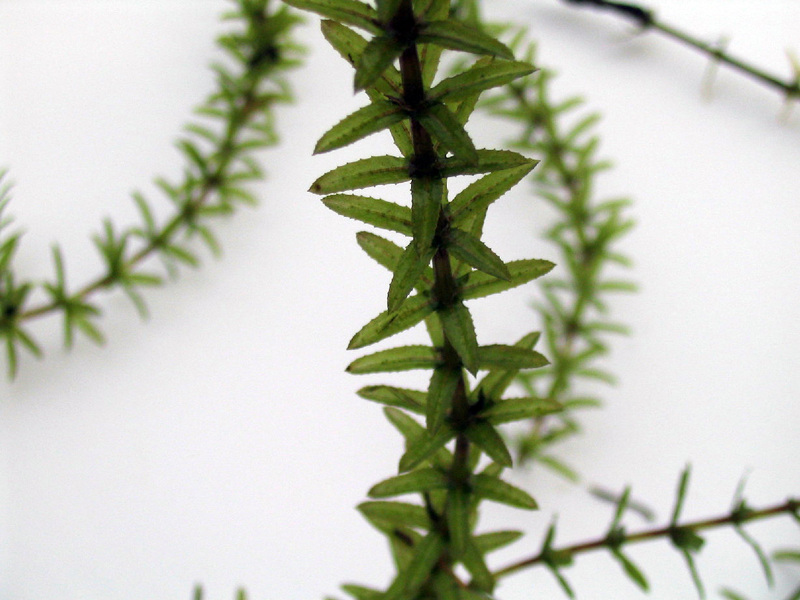 The name Esthwaite Waterweed comes from its occurrence in Esthwaite Water in northwestern England, the only English site where the plant is native, but not presumed extinct as it has not been seen since 1941. 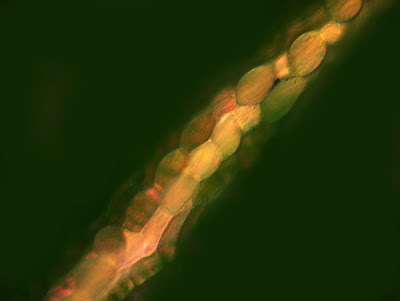 The images below of Hydrilla Verticillata were captured using the Fein Optic RB30 lab microscope and a HD microscope camera. Hydrilla Verticillata captured under the microscope at 40x. 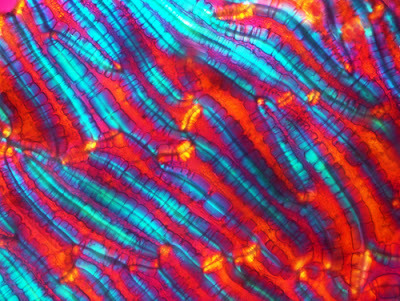 Hydrilla Verticillata captured under the microscope at 100x. Hydrilla Verticillata captured under the microscope at 400x. 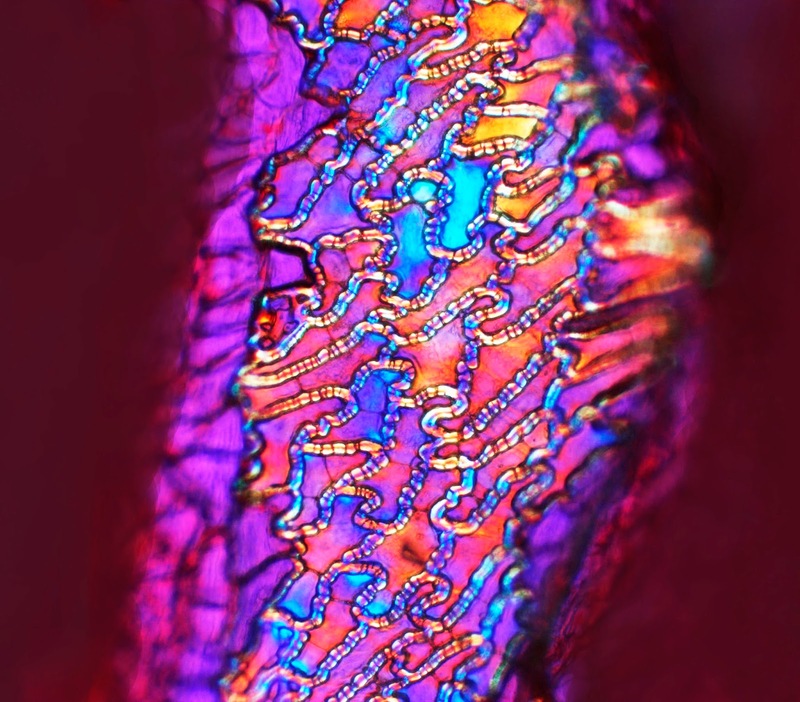 Contact Microscope World for further information on microscopes and microscopy cameras. 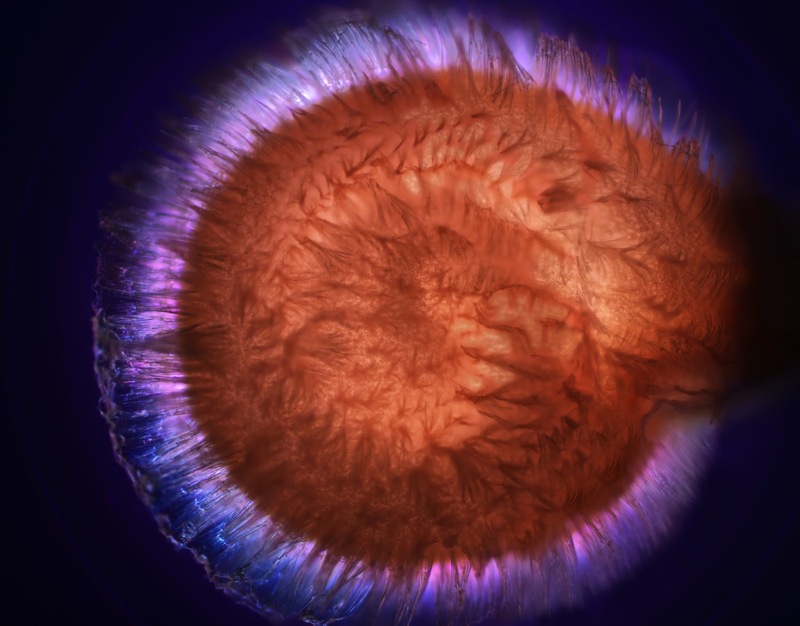 Animal breeders who need to perform IVF and work with embryos need a stereo zoom microscope that provides a good amount of working distance for their petri dish, as well as high magnification for viewing embryos. The following two microscopes were designed for embryo work performed by animal breeders. 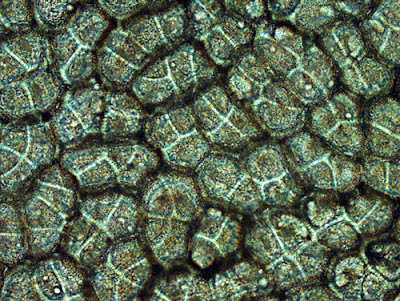 The FZ6-EMBRYO stereo zoom microscope provides 13x - 90x magnification. 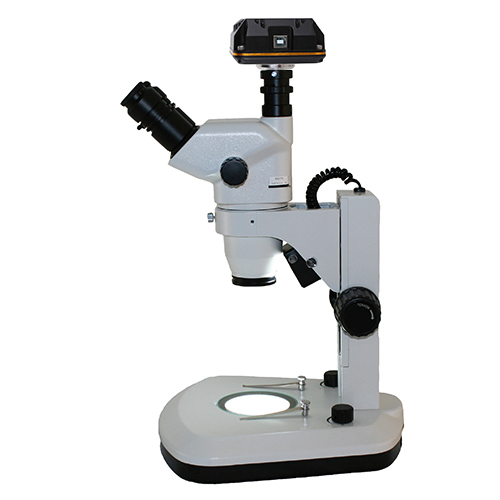 The microscope has both reflected and transmitted LED light, with the top light holding 15 LED bulbs for a bright and even illumination. Both lights have their own rheostat control. 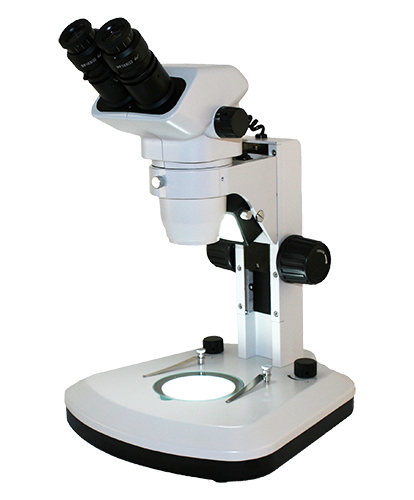 The embryo microscope is available as a standard binocular microscope, or with a USB digital 5 megapixel camera and software. The software allows for image capture, video capture and making measurements. Visit Microscope World for more information on different types of Animal Breeders IVF and Embryo Microscopes.